A visit to Tryon’s Upstairs Artspace gallery -- or any gallery, for that matter -- affords the visitor a chance to see a clean, final, mounted work of art, such as a framed painting on the wall or a sculpture on a pedestal, in a pristine setting, under bright lights. What the visitor won’t see in the gallery are the artists -- standing amid their wood shavings on the floor after carving a block of wood, with paint thinner-soaked rags piled in the corner, with shelves of works in progress, stacked folios of practice pieces, jars of brushes standing in murky water, clay dust covered kilns, and surrounded by scraps, shards, twigs, clay blocks, fabric pieces, metal wire … the myriad building blocks of masterpieces. To see an artist at work and in their milieu is indeed a treat, an educational, sensory and social delight. 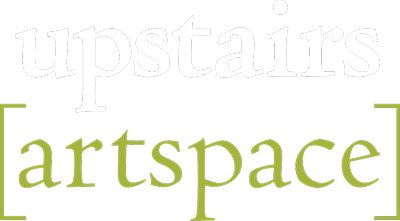 And, it’s an opportunity that comes around in early fall each year with Foothills Art Trek, organized by Upstairs Artspace, Tryon’s contemporary art gallery. Now in its tenth year, the Trek draws hundreds of artists and art lovers from all over the Foothills and it has become a “must see, must do” event on the local arts calendar, this year slated for Sept. 29 from 10 a.m. to 5 p.m. and Sept. 30 from 12-5 p.m. Organizers are planning for more than 30 artists to participate. 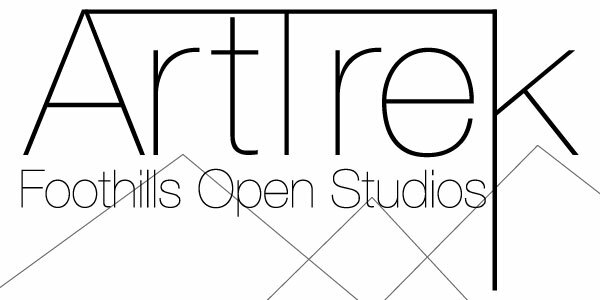 Many artists have opened their studio doors for each year of the Trek but some are new to the roster. All are worth a knock on the studio door. Geographically, Art Trek encompasses all of Polk County, N.C. and the Landrum, S.C. area. Types of studios are as varied as the artists who occupy them - some are in homes or garages, some have devoted studio space, others will be sharing studio space. A printed map is available at the gallery and at area businesses (online, too) that pinpoints the studio locations and highlights the artists who will be available to greet visitors. The self-driving, self-directed tour allows the visitor to see as many studios as time and desire permit. Watch for the bright orange directional signs! No weekend trek would be complete without a kickoff, so organizers are hosting a preview reception and silent auction Sept. 28 at 5 p.m. at Upstairs Artspace, 49 S. Trade St. On both mornings of the Trek, visitors are welcome to "fuel up" with coffee and pastries at Upstairs Artspace (Saturday from 9-11 a.m. and Sunday from 10 a.m. to noon). All are also invited to the closing reception to thank the artists on Oct. 12 at 5 p.m.
Sponsors for the event include: A Taste of Olives and Grapes; Vines of Tryon; Packard Woodworks, Inc.; Edward Jones; Main Street Financial Group, Inc.; Tryon Bottle, LLC; Foothills Realty; TD Bank; Tryon Cinema, LLC; MS Hammett Construction, LLC; Tryon Builders; Stott’s Ford; John Walters Architect, PLLC; The Millstone Gallery; Heartwood Gallery; Wildflour Bakery, Green River BBQ; Saluda Historic Depot; Inc.; HomeTrust Bank; Thomas & Patricia Trobaugh; J. Alan and Harriet Peoples; Amber Keeran; Allyn Johnson; Raymond McLees; Cathy Brettman & Joe Cooper; and Alexia Timberlake Boyd.